Have you researched the subject, but would really rather hear the perspective only a fellow patient can provide? Listen to the informative webcast recording from Wednesday, December 13th from Dr. Nikhil Guhagarkar MDS, who addressed these topics. Dr. Guhagarkar is an Oral and Maxillofacial Surgeon based in Mumbai, India, and is also a GIST (Gastrointestinal Stromal Tumor) patient. He has spent the last few years as a patient advocate, and has also authored the educational booklet A Guide to Nutrition and Holistic way of Living with GIST. In this webcast, he discusses how to use a holistic approach that incorporates nutrition and exercise (including yoga and meditation) to achieve higher energy levels and help you live better with your disease. 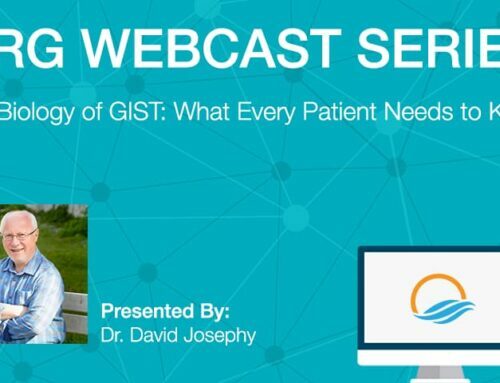 While Dr. Guhagarkar is a GIST patient, this webcast would benefit anyone who struggles with these issues, regardless of the disease they have. We believe that patients and caregivers sharing their experiences plays an important part in helping fellow patients live better with their disease and side effects.